Mixed Head-Stamps and may contain both brass and nickel finish. Brass typically ships either same or next day with an estimated arrival time of 2-3 days. 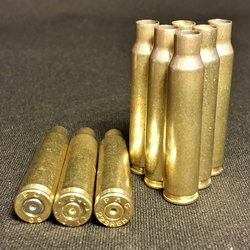 Diamond K Brass carries several options for reloadable .357 Magnum brass, with several quantities to choose from so you can stock up and never run out of ammo. 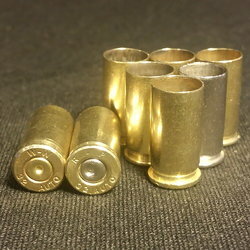 Our once fired .357 Magnum casings come with mixed head-stamps, in both nickel and brass finishes or all nickel-plated finish. 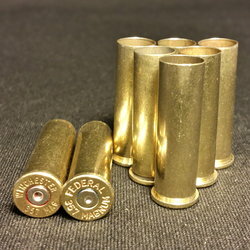 Our reloadable brass comes from shooting ranges as well as military sources, and it comes to you clean -- and all pieces meet our safety standards. 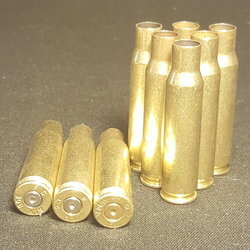 Plus, some .357 Magnum reloadable brass options are available with a complimentary tumble polish so they look almost new. 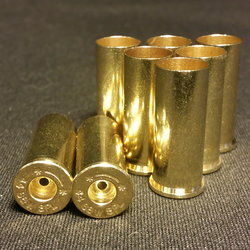 Whether you use reloading brass for commercial or recreational purposes, Diamond K Brass has all the calibers you need, with friendly service and quick shipping. We even ship 2% over the ordered amount to ensure that all our customers are pleased with their purchases. 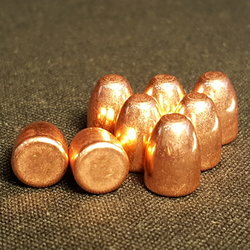 So when you’ve stocked up on .357 Magnum brass, don’t forget to shop for the other calibers you use -- as well as other reloading tools and supplies! And if you’re a commercial reloader, you can call us directly at 1-855-357-3030 to place a bulk order.